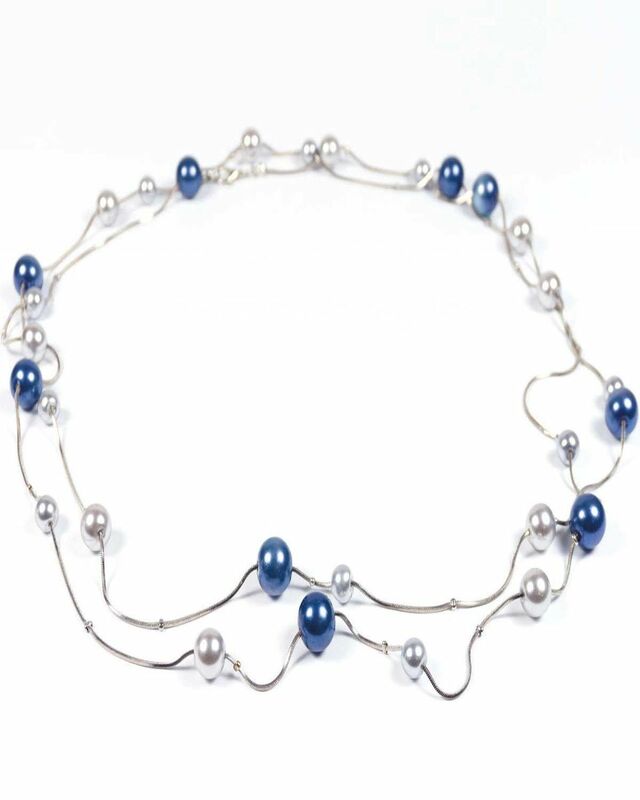 Ladies French Navy/ Grey Pearl Necklace. Approx. length 152cm.